This item is published with the British Library by PomegranateKids®, an imprint of Pomegranate Communications, and is CPSIA compliant. 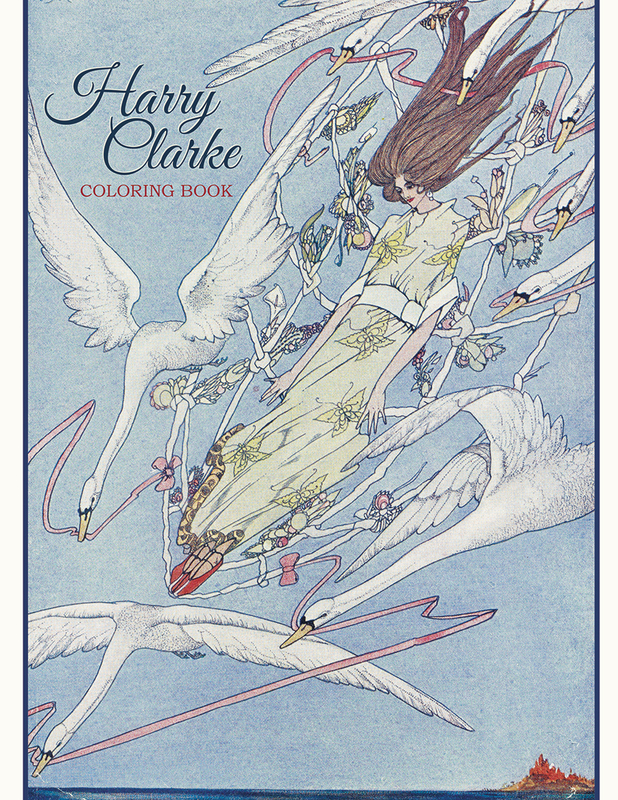 Irish illustrator and stained-glass artist Harry Clarke was born in Dublin on St. Patrick’s Day, 1889. He learned the stained-glass trade in his youth, working at his father’s decorating business and studying at the Dublin Metropolitan School of Art. He was praised as a genius—“Ireland’s only great Symbolist,” according to one critic. Clarke’s first illustrated book was published in 1916. He eventually brought to life many characters of classic literature, using stylized figures and precise patterns. His characters were drawn in minute detail and delicate line. 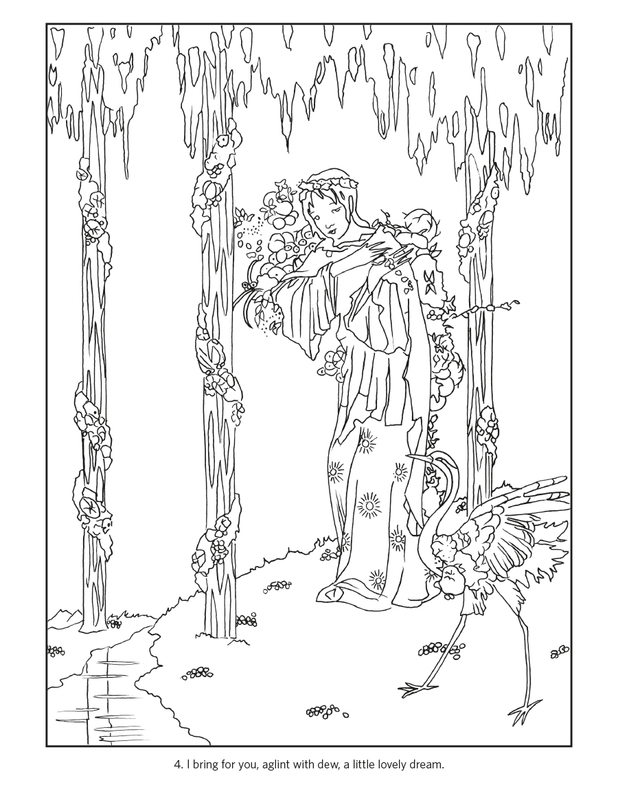 Illustrations from three of his books—including Fairy Tales by Hans Christian Andersen, The Fairy Tales of Charles Perrault, and The Year’s at the Spring: An Anthology of Recent Poetry compiled by Lettice D’Oyly Walters—are included for you in this coloring book. Clarke was fond of using jewel colors. 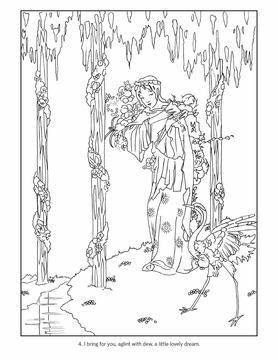 He loved rich blue and used it in many of his illustrations, along with ruby reds, bright teals, and deep purples. 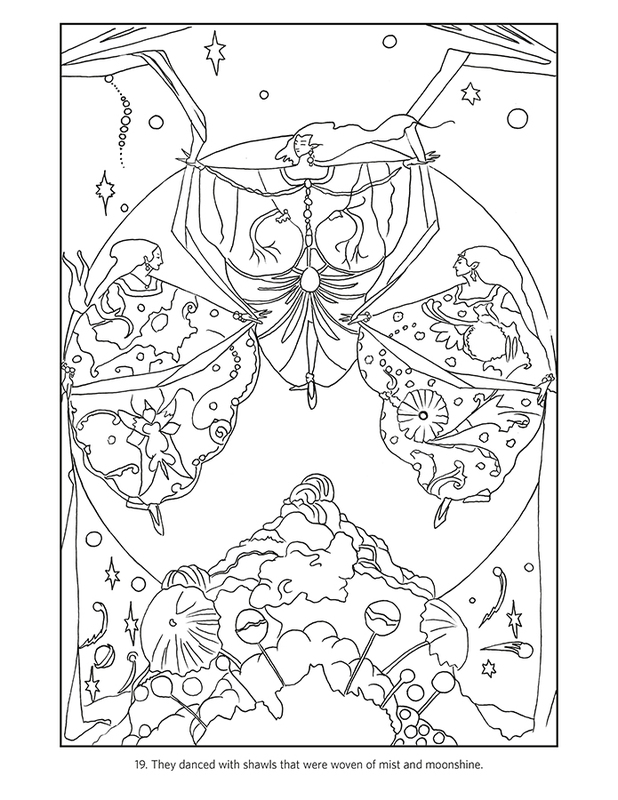 What colors will you use to enliven each story’s characters? 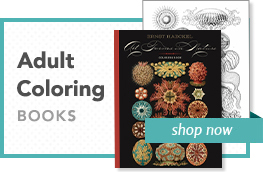 You can use the paintings shown on the insides of this coloring book’s covers to guide you, or you can create your own unique color and pattern combinations. 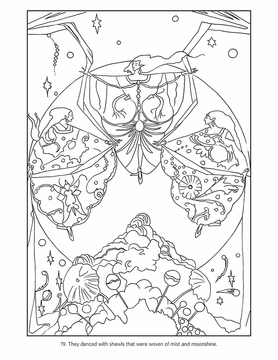 We’ve even left one blank page at the back for you to illustrate your very own maiden, queen, jester, or any other fairy tale character you can imagine.